Today’s all about books I can’t believe I read. More specifically, I can’t believe I read them because the blurb promised me tears and sadness and tough topics and most of the time, I avoid those like the plague and go for the feel-good books instead. Most of the time, but then some times I just find myself picking up one of those heartbreaking books anyway, and end up crying my heart out. And I don’t mean crying like “Oh, my eyes got a little watery at that scene”. No, I mean full-blown snotty nose, red face, ugly-crying. And guess what? I still loved every single one of these books so, so much, despite the tears. After a terrible accident, Mia has to make a choice. Stay, and live a life without her parents and younger brother? Or let go and not have to face a life without her loved ones. I cried pretty much throughout the entire book and the movie was seen through the same watery filter as well. This is an instance where I saw he movie before I read the book, so I thought the book wouldn’t impact me as much. I thought wrong. This story about a girl who learns to live from a boy who wants to die broke me a bit. Maybe a lot. I still get tears thinking about it. And I still really want to see the movie, even though we haven’t heard any news in so long so is this even still happening? 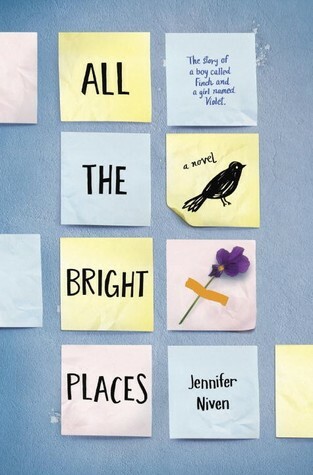 Though the ableist message has come to my attention after reading this and should definitely not be ignored, I still loved this book so much and cried my heart out. 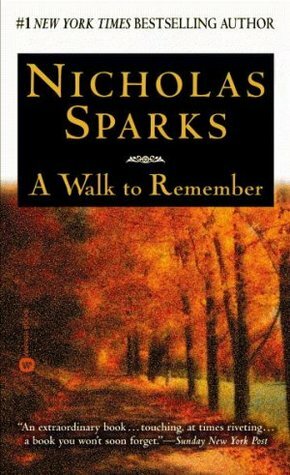 Should I even still explain about this book and why it made me cry? I mean, John Green is pretty much a YA legend. (And yet I have only read 2 books by him so I should get on that). When a story is narrated by Death and is set in Germany during World War II, that should already be enough to clue you in on the fact that there will be tears. I though that since I already knew how this would end, that the ending wouldn’t affect me as much. I have never been more wrong. And well… you know I only have one auto-buy author whose books always promise the tears and yet I CAN NOT STAY AWAY and I adore every single one of them even if they still make me cry months later. 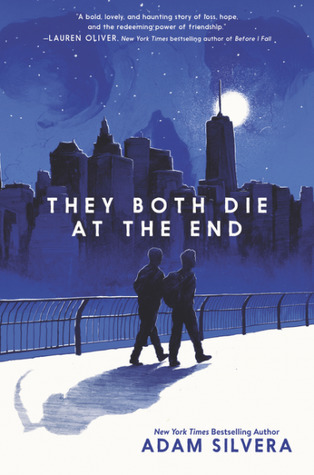 My first Adam Silvera book blew my mind. 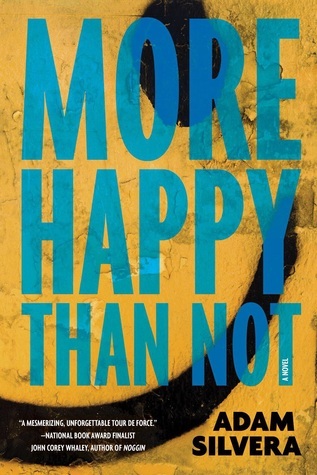 More Happy Than Not is definitely one of those books which will haunt you for a long time after reading it. The story about a boy mourning the death of his first love is definitely not something I’d willingly pick up. But since it was Adam Silvera I did and it broke me but I have no regrets. Come on, the title could pretty much just be ‘prepare to ugly-cry’. 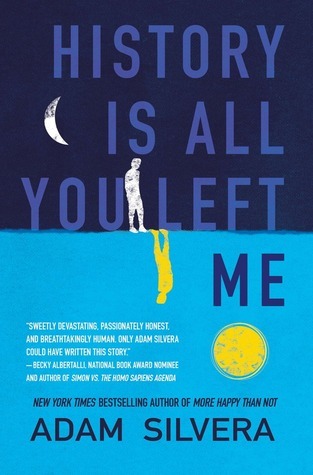 But as with any Adam Silvera book, the story leaves you both broken but also filled with hope. Do you like sad, heart-breaking books or prefer the fluffy feel-good books? Do you have any recommendations for me? 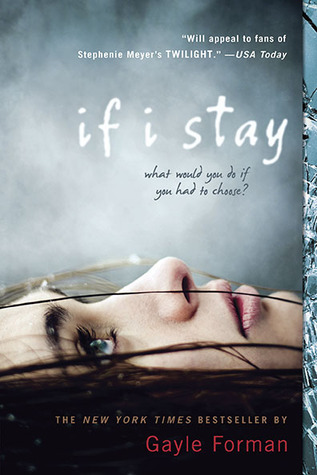 If I Stay is one I’ve been wanting to read and just have never gotten around to it. Nice to know it’s good, although it sounds pretty emotionally intense. The premise just sounds so interesting. 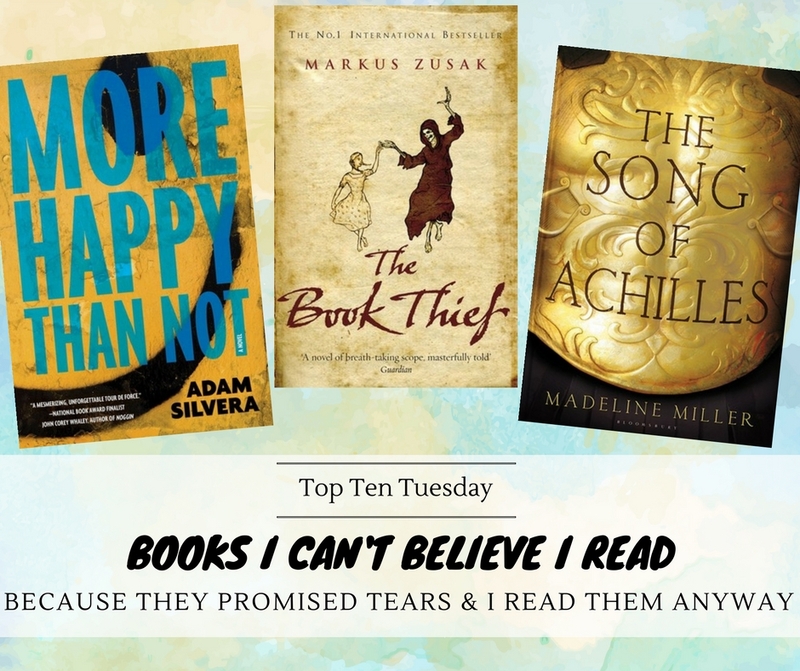 I don’t cry quickly but The Book Thief is one of those for me as well. Great list! I literally cried for over an hour last week – up until the boyfriend didn’t even know what to do anymore and he simply let me hug a pillow. 180 Seconds by Jessica Park. If you haven’t read that one yet, get ready for some extreme heart-break! I’m not wild about Made-Ya-Cry books either…in principle…but I am constantly looking for them and reading them and loving them. I’m right there with you on The Fault in Our Stars and All the Bright Places. I knew going in that I would end up sobbing but just couldn’t stop myself from reading them. I sobbed my way through If I Stay as well. Did the movie stay true to the book? I think the movie stayed true to the book, but it was a long time ago (and I haven’t rewatched it because tears) so I could misremember. I’ve not read any of these and to be honest, they aren’t my usual genre. 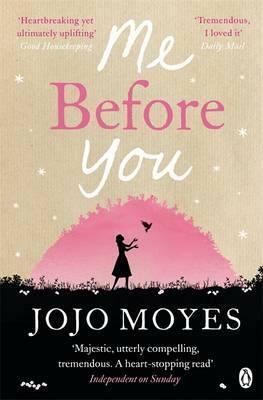 However, I do have to say that the Me Before You is the prettiest cover I’ve seen of the book. I hate the movie tie-in cover. Thanks for sharing these! Barb (boxermommyreads) recently posted…TTT – I Can’t Believe I Read That! 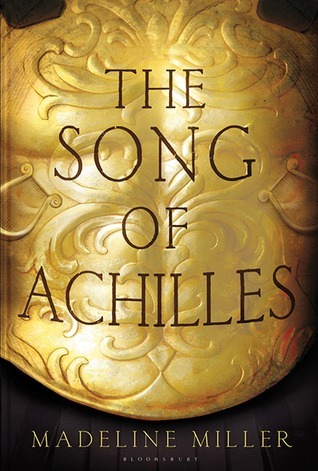 I love books that make me cry – I mean, not that I like to read about terrible things happening to characters, but I love when a book can make me that emotional! Me Before You was definitely one of those books! 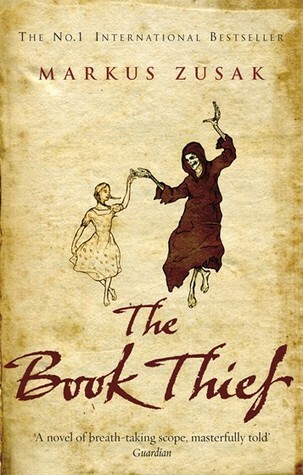 I actually love sad books, when I look over my favourites, quite a lot of them have that really strong emotional impact, The Book Thief for instance is one of my favourites. Lighter books aren’t usually my thing, usually because they tend to be romance focused and that’s not really me. I LOVE most of those! 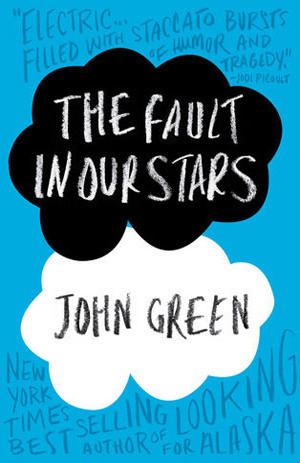 Fault in our Stars, Me Before You, If I Stay, Book Thief….sigh of happiness….Love it when others enjoy books I’ve liked. I’m so looking forward to They Both Die At The End. It looks incredible. Most of these books have made me cry too. I loved They Both Die At The End, hope you’ll enjoy it! A good cry is necessary sometimes. I love picking up a sad book on occasion!